Home » Sikh News » Police Raid Sikh Houses In Panjab And So Far Make 2 Arrests | After their Return form Doha Qatar and Canada | Police Alleges liked to KTF & BKI . Police Raid Sikh Houses In Panjab And So Far Make 2 Arrests | After their Return form Doha Qatar and Canada | Police Alleges liked to KTF & BKI . According to latest news reports, Panjab Police yesterday arrested two Sikhs; Arvinder Singh (alias Mitha Singh) from the village of Pallia Khurd near Rahon in Nawanshahar and Mandeep Singh from Jagraon. 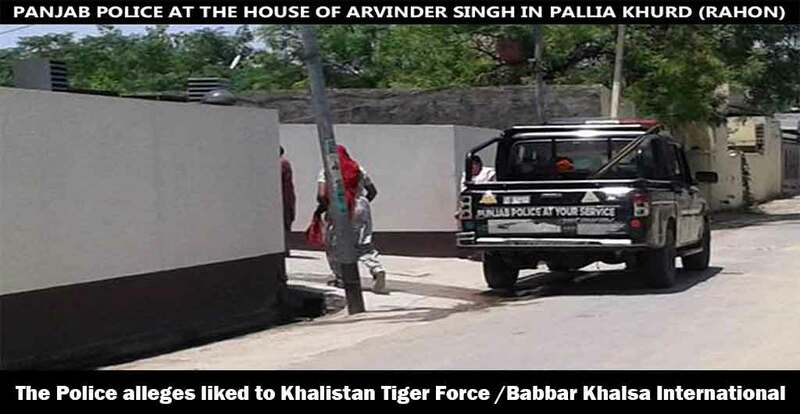 According to police, the two men supposedly belong to the Khalistan Tiger Force (KTF) and Babbar Khalsa International (BKI) and they further allege they were preparing to target different dera (cult) heads, retired top-ranking police officers, and activists of right-wing Hindu organisations. In the past few months, Mandeep Singh who lives in Canada, had returned to India and Arvinder Singh had arrived from Doha in Qatar, where he works. But investigators have also admitted that both men travelled on valid documents and have no history or involvement in any crime. As the police story goes, “Arvinder and Mandeep Singh were further luring Sikh youths with a clean image and no criminal record to fox the security agencies and to launch strikes”. Furthermore, police teams are now conducting raids at different places to arrest other members of these ‘sleeper cells’. However, experience shows that Panjab police work hand in glove with political agents and these type of arrests and subsequent fabricated charges, are designed by people from ‘high above’ and used to threaten and terrorise the innocent. The Sikh Relief team are closely following these latest arrests and we will bring you further updates as we receive them…..